We share the passion for technology and good design. The ability in brand management and the grown industrial know-how distinguishes the successful work of IWS. 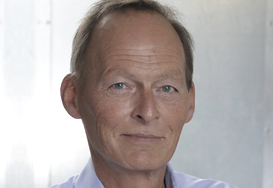 Gunnar Janssen is leading the creative agency in second generation. since 1984 IWS staff member, AD, consultant. CEO since 2001, owner and CEO since 2004.